Greetings to our friends and supporters! The Descrow ICO is closed. Our team is grateful to those of you, who have been with us during these last months, your trust and support helped us to build a unique and innovative instrument for secure ICO investments, which will be accessible for everyone in a full-fledged mode in a short time from now. Together we can change the rules of crowdfunding and establish the new standards of transparent and secure crowdinvesting and professional implementation of venture projects. Taking into account those tokens, which were designated for the team, advisory board and bounty-campaign the project has released 6 851 295,50 of DES tokens. We’d like to remind you, that the tokens reserved for the team members, advisors and bounty campaign participants will stay freezed for one more month from the ICO closure date. The total number of investors, who took part in our ICO amounts to 1659. Along with that, during the last months 829 new members joined our chat, our Telegram channel enlisted 1438 new members and more than 1000 of our supporters took part in our bounty campaign. In the course of the ICO campaign we have encountered a number of unexpected challenges and criticism, which we took into the consideration and included into the final version of the technical specification of our platform. We are happy to announce, that the platform is almost ready for use, at the current moment it is undergoing the process of the web-composition. The pilot testing of the platform is planned for February, with a significant timing advance to our roadmap. Our tokensale was executed with a goal of creation of an innovative instrument for secure ICO investing, and not simply gaining the profit from selling the tokens on the exchanges, once they are accessible. 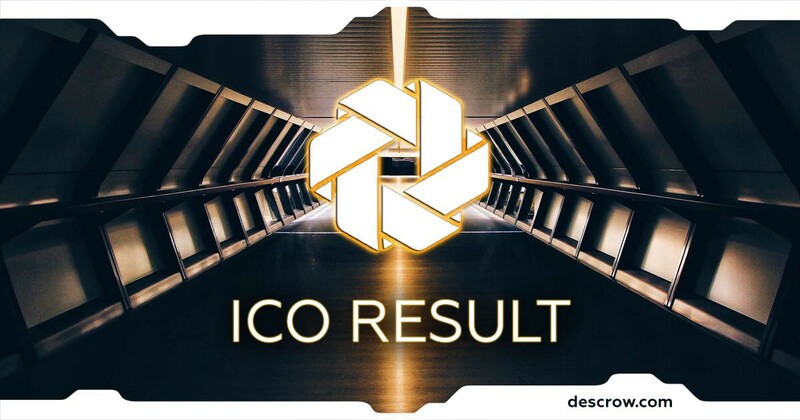 At the same time, holders of DES tokens have the opportunity to participate in the activities of the Platform and to receive the benefits associated with this (discounts on platform services, participation in lotteries) as our common project develops. In the course of the Descrow ICO we have sold an insufficient number of tokens to be listed on one of the major exchanges, which have a number of requirements, regarding the number of the tokens in circulation. As most of you are aware, many exchanges, especially a large ones, require a substantial number of funds to accept the listing application. In a number of cases, the total amount of required funds may be equal to 50 BTC or a little bit less. The total number of the funds raised during our campaign, unfortunately, appeared to be lower, than we expected. As a result, we’ll have to revise the choice of the exchanges for listing. With a current amount of the funds raised we prefer to consider our options first, as we want to ensure that the project will be launched in a proper way. However, as the Descrow project develops, we will have more opportunities for listing DES tokens on various exchanges. Based on the facts mentioned, we’d like to ask you to keep patient and take notice on our position. We appreciate your trust and we want to ensure that we trust our community as well, who, we believe, supported our project because of the understanding of the long-term value of our platform for the future crowdfunding market, not simply willing to gain short-term profits from selling tokens once the ICO is over. Stay with us, follow the news, the great times are ahead! Assistant for safe investments and the independent vote.